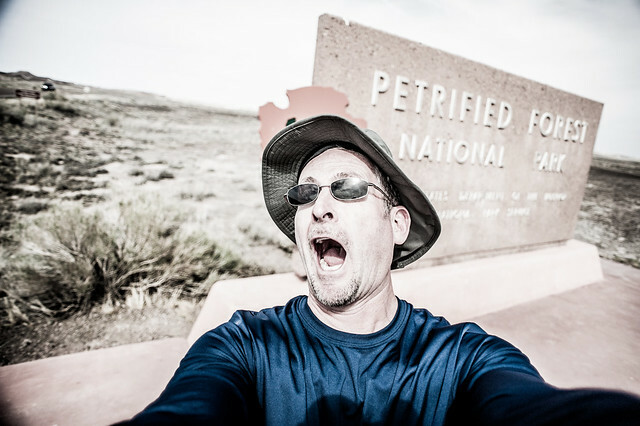 Neither of us had visited Petrified Forest National Park before, despite it’s relatively close proximity to the Grand Canyon. As with the other National Parks, we were not disappointed. 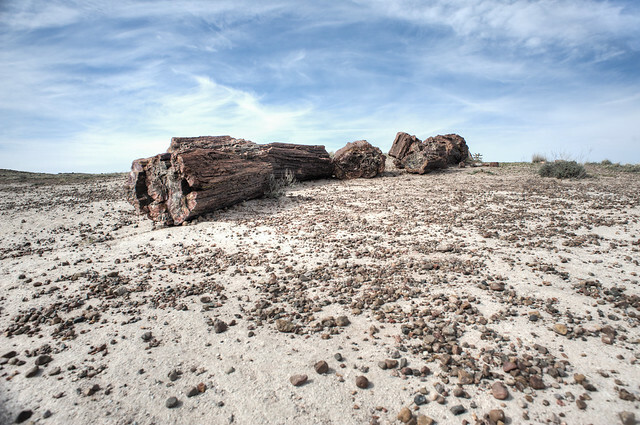 While there is very little to do nature-wise, there are several very nice short hikes that lead you to great collections of petrified wood and scenic overlooks, with good detail of the history of how nature has shaped the landscape and how the wood came to be petrified. I wouldn’t make a trip just to see it, but if you’re anywhere near then it’s a must see. Celebrating passing the halfway mark – 31 National Parks down, 30 to go. If a tree falls and turns to stone, do geologists hear it? 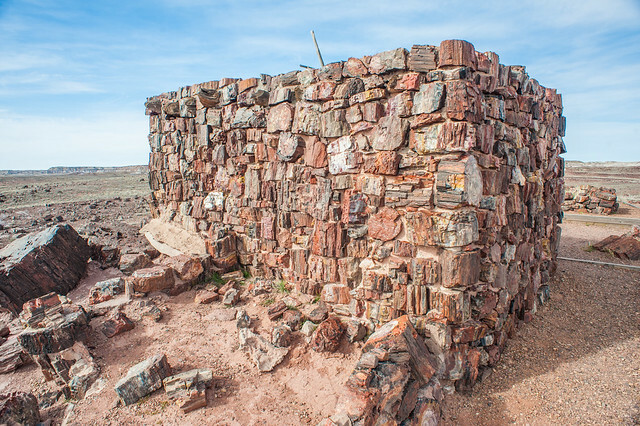 The Agate House was made completely from petrified wood – and had no doors or windows. Entry was through a ladder on the roof. 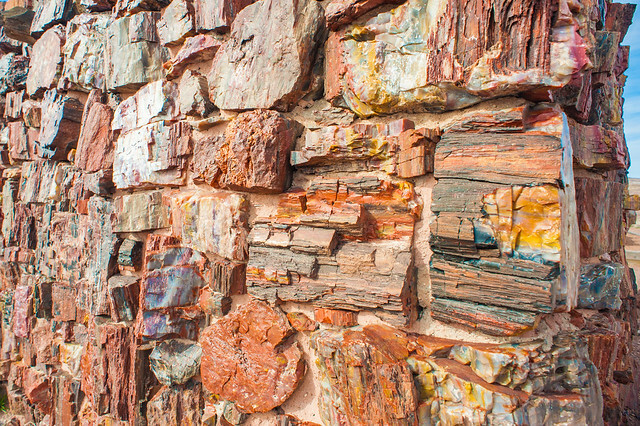 The colors and shapes in the petrified wood that the Agate House is built from could be modern art, old school style. 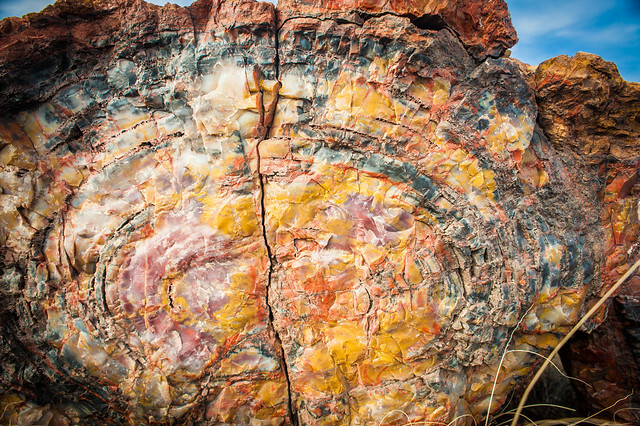 Amazing colors from the minerals that make up this petrified tree. There is a whole lot of nothing out here. 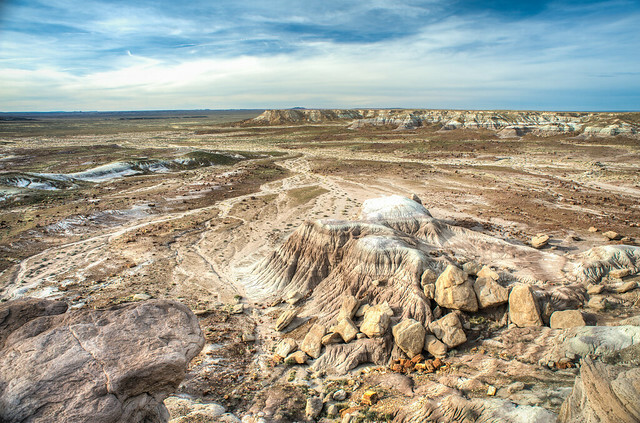 The view from the Jasper Forest Overlook in Petrified Forest National Park.